Are Canadian investors ready to give up oil? For many Canadian investors it’s hard to imagine owning a strong portfolio that doesn’t contain any oil stocks, which is understandable. Oil is so tightly linked to Canadian markets and the economy that it’s now ingrained into the psyche of investors who rely on their portfolios to deliver returns. However, a new study has made discoveries that could debunk that myth. The research shows that portfolios holding a significant concentration of heavy carbon-emitting companies can actually put an investor’s funds at risk. The study, conducted by Genus Capital, examined the relationship between carbon emissions, carbon intensity and investment returns. Researchers applied factor analysis to isolate the impact of carbon intensity on a portfolio of global investments (35% S&P/TSX Composite/ 65% MSCI World) between 2010 and March 31, 2017. Despite the beliefs of many investors, the report found that carbon intensity had a 9.2% cumulative drag on the performance of a portfolio of globally diversified equities. 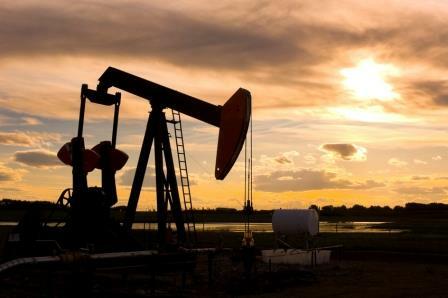 The report also discovered that the Canadian market in particular has an affinity with hydrocarbon-related investments, and that the carbon intensity of the Canadian market is more than double that of the U.S. market. Researchers found that, in Canada, a handful of companies are responsible for creating most of the harmful emissions. "10% of Canadian companies account for 80% of emissions, which means that screening out only the top carbon emitters are needed to have a significant reduction of carbon presence in a portfolio," says J.P. Harrison, president of Genus Capital. "With recent research also showing that the Paris Accord's climate targets pose significant financial threat to energy companies as early as 2025, investors need to find ways to get ahead of the curve." Although Canada is one of the worst offenders when it comes to carbon emitting investments, more investors are realizing that their portfolios won’t drop off a cliff if they move away from traditional oil-sector investments. “By conducting this research, we're pleased to see that the results support the case for divestment and sustainable investing." Are Canadians overestimating their financial literacy?